Vibration White Finger, also known as ‘dead finger’ or ‘dead hand’, is a disease whereby the blood vessels and nerves in the fingers can become damaged by vibration when holding a vibrating tool or touching a vibrating surface. It is actually possible to have a similar effect in the feet if standing on a vibrating surface for long periods. Early signs of vibration white finger may be when the end of one or more fingers turns white and loses feeling for a period. A feeling of clumsiness may exist. As the feeling in the finger returns, there may be pain or tingling and the fingers may have a bluish tinge. Permanent damage can ultimately occur. Vibration in the hands and arms can cause several types of damage to fingers, palms of the hands and the wrists. The amount of compensation is based on the level of damage to the blood vessels (generally seen as whitening of the fingers) and to the nerves (numbness, tingling, loss of sensation). Back pain is the main cause of absence from work in this country and at any particular time about one person in seven will be suffering from back pain. Back pain is common to both sexes and affects all age groups. Certain types of work activity are likely to place people at risk and back pain is associated with heavy manual work including lifting and handling, forceful exertion, bending and twisting, working in a stooped position, prolonged sitting in a fixed position, vibration and stress. The effects of various activities can be cumulative so that, for example, the work of a care assistant may require long periods of time in a stooped position and may be psychologically as well as physically demanding. Whilst injuries to the back may be caused by heavy lifting over a period of time, an episode of back pain that comes on suddenly does not necessarily mean that it was caused by any particular incident alone. Back injuries can actually occur purely as a matter of chance and it is important to get medical evidence to tell the difference. People who work on production lines often carry out repetitive tasks and if the employers don’t work out sensible rotation systems, somebody carrying out the same basic operation again and again for months, if not years, can sustain injuries to their hands and wrists. These injuries are commonly referred to as Repetitive Strain Injuries although, in fact, there are a certain number of specific problems such as Carpal Tunnel Syndrome and Tenosynovitis. Exposure to asbestos can cause pleural plaques, pleural fibrosis, pleural thickening and fibrous tissue within the lung. Asbestos exposure can also substantially increase the risk of contracting lung cancer. Anyone who works in asbestos manufacturing, building and engineering construction and maintenance could be at risk. Many cases only come to light some years after exposure. For many years, workers in heavy industry have been exposed to loud and constant noise. Deafness very often occurred to those workers when they reached middle age. It is only in the last 25 years or so that employers have taken any interest in the problem and have begun to provide ear protection. It is essential to prove that the hearing loss was caused by the employer and the extent of the hearing loss. As ever, medical evidence is essential. Health and Safety Law and claiming compensation for accidents at work is a complex and technical subject that requires a deep knowledge of the regulations and an understanding of the work environment from the point of view of the employer and employee. We work with health and safety consultants, experienced doctors and others to provide a focused, practical solution to our clients’ problems. 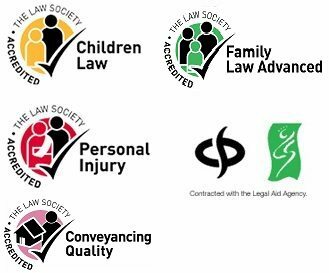 We have the only Law Society’s Personal Injury Panel member in the Pendle area. We have experts in various fields, we are approachable, friendly and offer a service that is personal to you. We understand how important your case is and will always strive to do our best to help you.